Beauty editors aren’t exactly known for being brand loyal. In fact, very few can name more than one product they’ve been in a monogynous relationship with for more than a few months. It’s not that we’re fickle by nature. It’s just that by the time we hit the bottom of our must-have jar of night cream, there’s a new one we’re bound to fall in love with waiting for us. (Life’s rough, we know.) We’re telling you all this only to highlight the importance of the products that do make it into our regular rotation—the ones that don’t get replaced by the latest and greatest, but our one true (beauty) loves. This month, we’re sharing all of our product love stories. Enjoy! Messy, undone, perfectly imperfect hair has been the reigning trend for quite a few years now, and we don’t see it going anywhere. Here at Byrdie, we’re on a constant quest for styling products and techniques that can give us that effortlessly tousled finish. We’ve interrogated Jennifer Lawrence’s hairstylist about it; we’ve tried our best to break it down into a step-by-step science. 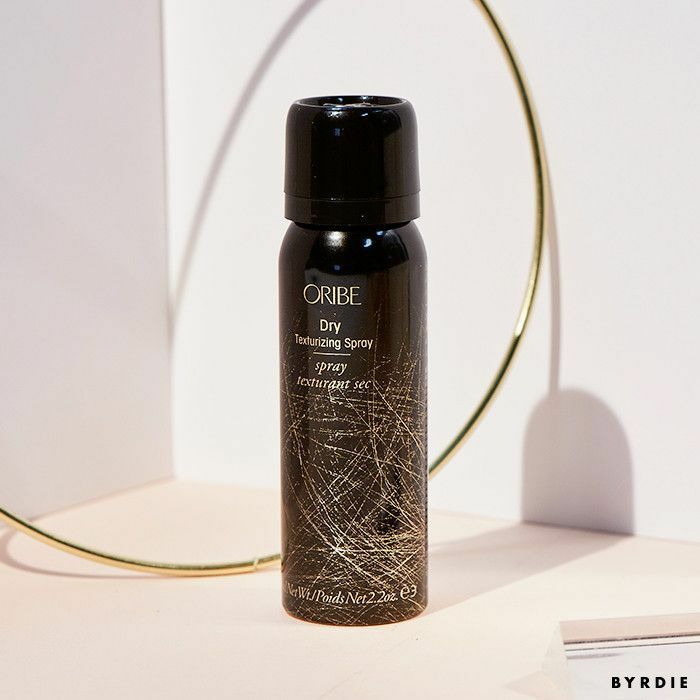 But no matter who you talk to about how to create the perfect messy waves, there’s always one key ingredient involved: Oribe’s texture spray. Every beauty editor and hairstylist on earth seems to share the Oribe obsession, and there are endless reasons for it. First and foremost, the scent—you could write love poems about Oribe’s signature musky-floral fragrance. Let’s just say one spritz makes this editor physically weak at the knees. The only downside to this product is the price—a full-size bottle is $44. Which is one of the reasons I’m such a big fan of the travel-size version. It’s half the price, TSA-compatible, and the perfect size to fit in your purse, so that covetable messy texture is just a nearby spray away. What’s your product love story? Tell us in the comments below, and then shop our limited-edition beauty box: The Review by Byrdie!